Home/All/WHO DOESN’T LOVE $5.00 OFF? NO ONE! 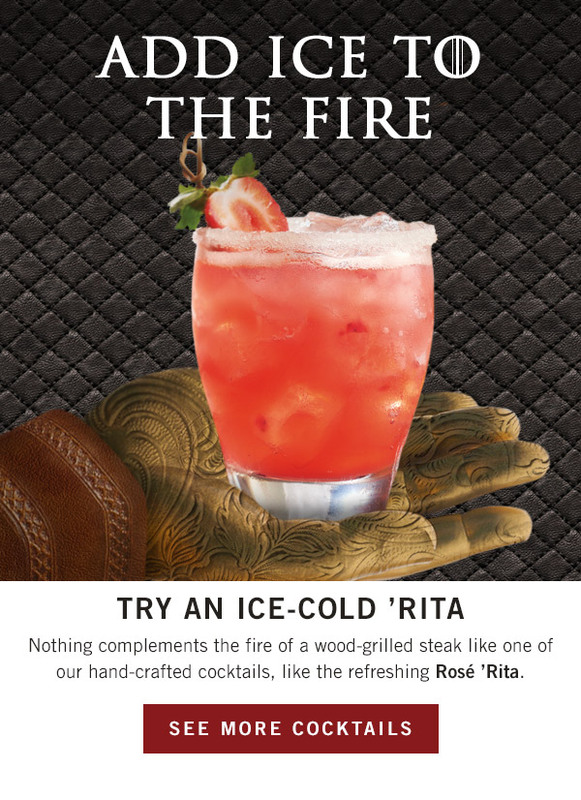 The night is dark and full of flavor. 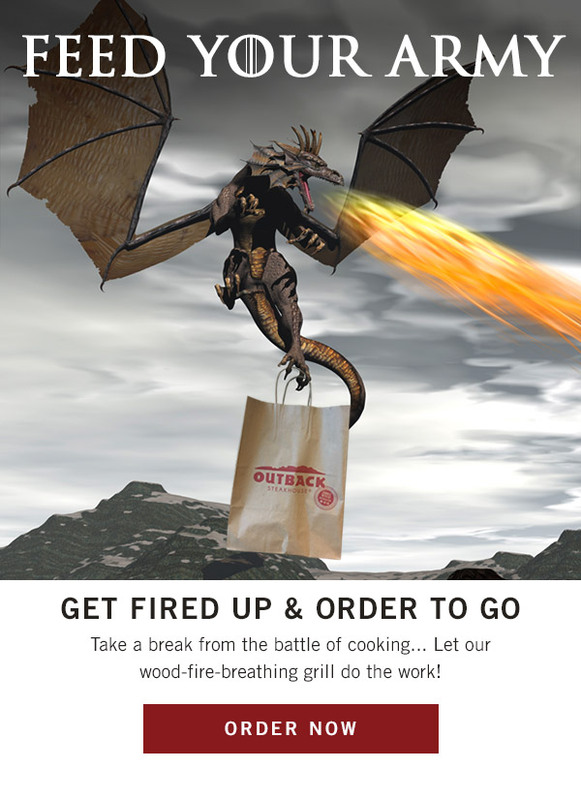 Feed your army with this week’s offers. 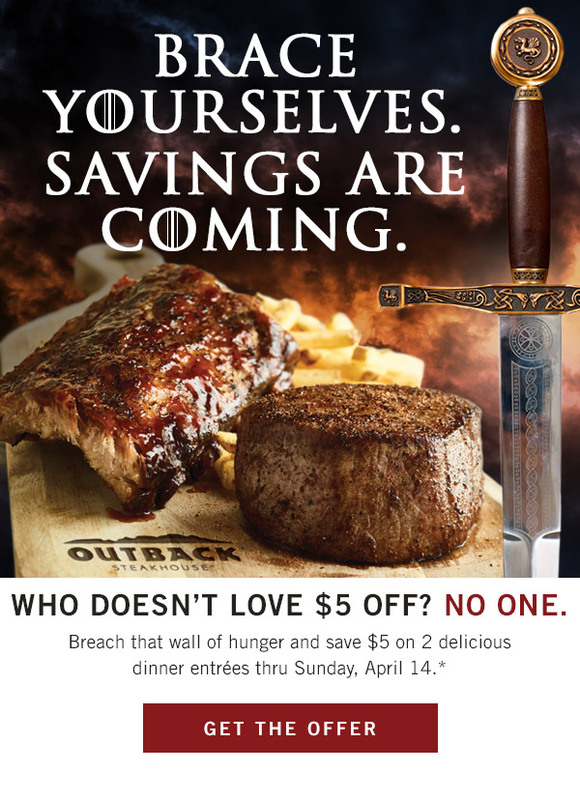 *$5 OFF WITH THE PURCHASE OF 2 ADULT DINNER ENTRÉES THROUGH 4/14/2019. 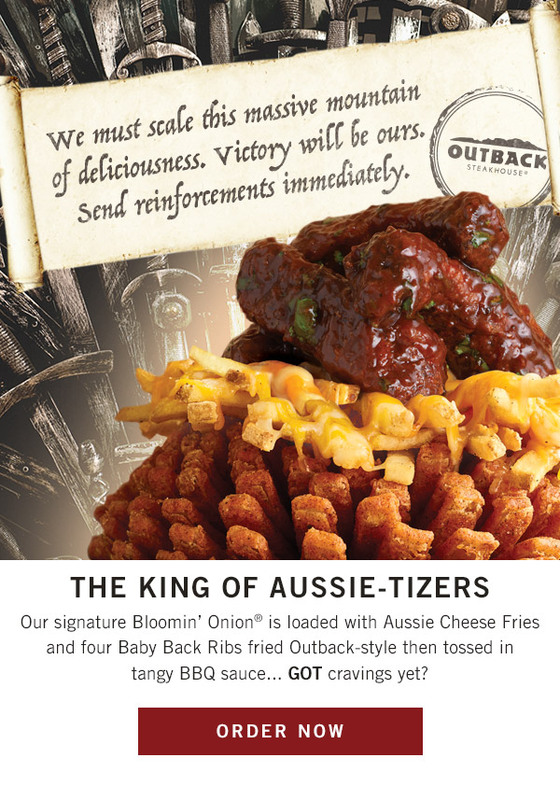 Valid at Dinner only (Dine-In or Curbside Take-Away) at participating Outback Steakhouse locations in the U.S. Get $5 off your check with the purchase of two adult dinner entrées or $2.50 off with the purchase of one adult dinner entrée with show of coupon (not valid for lunch). Single entrée discount not available when paying online. One coupon per table, per visit. Use code: SPRING5 for online ordering. 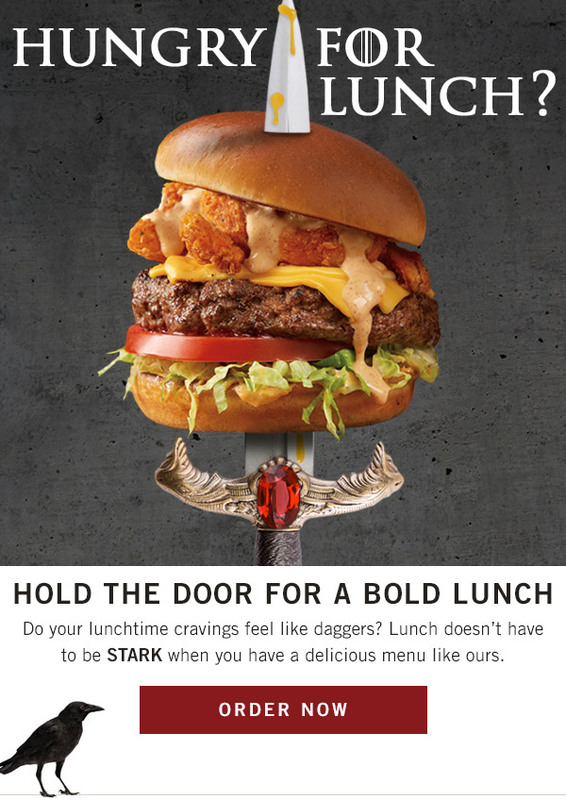 Not valid with any other offer, discount, or certificate including any Dine Rewards(TM) redemption, AARP® Membership Discount, Bloomin’ Monday® or Walkabout Wednesday. Coupon is not valid after valid date. No cash value. Void where prohibited by law. Prices, product participation and restaurant hours may vary by location. EXPIRES 4/14/2019. This material is intended only for those of legal drinking age. Please do not forward or share with anyone under 21.